Some of the Ekopotamya Network members took part in the World Social Forum in Tunisia and, held some seminars on the current water crisis in Syria and Iraq. You can find further information on the issue in the the presentation materials. These presentation had been done on the last conference of the Ekopotamya Network. 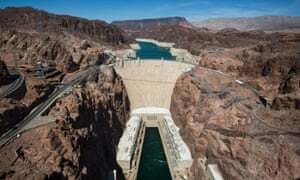 From the iconic Hoover Dam of US to Mao’s Three Gorges Dam in China and India’s Sardar Sarovar, here is a selection of 12 mega dams of the world – but are they a boon or bane? The Hoover Dam was the world’s highest and most powerful dam when it was completed in 1936. It spurred the agricultural and industrial development of the US southwest, and destroyed the Colorado river’s rich downstream fisheries. Climate change is greatly affecting the dam’s capacity to supply water and generate power. 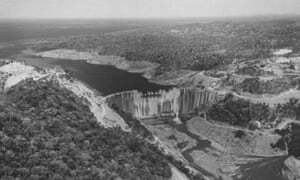 The Kariba Dam on the Zambezi was built in the 1950s to power Zambia’s copper belt, as the first large dam funded by the World Bank. Kariba was considered thesymbol of a “brave new world”, in which controlling nature would bring quick economic development. Yet the 57,000 people who were displaced by the dam suffered famine and are still impoverished. In the 1960s, the Bhakra Dam became the symbol of India’s green revolution, and was hailed by the then prime minister Jawaharlal Nehru as a “Temple of Modern India”. Yet in India and beyond, badly managed irrigation schemes have resulted in waterlogged, saline soils and diminishing harvests. Nehru soon came to deplore the “disease of giganticism” in dam building. Dam-affected communities have often suffered repression and human rights abuses. In 1982, more than 400 indigenous men, women and children were massacred to make way for the World Bank’s Chixoy Dam in Guatemala. In a historic breakthrough, the country’s government in 2014 signed a $154mreparations agreement with the affected communities. When dams are not properly built or maintained, they can break. In the world’s biggest dam disaster, the failure of China’s Banqiao Dam killed an estimated 171,000 people in 1975. In more than 100 cases, scientists have also linked dam building to earthquakes. Strong evidence suggests that China’s Sichuan earthquake, which killed 80,000 people in 2008, may have been triggered by the Zipingpu Dam. Large dams are often pet projects of dictators. Lacking accountability leads to massive corruption and cost overruns. On average, large dams experience cost overruns of 96% and are not economic. 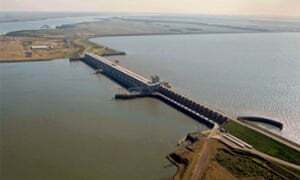 The cost of Argentina’s Yacyretá Dam has mushroomed from $2.5bn to $15bn. A former president called Yacyretá “a monument to corruption”. In 1988, 40,000 Hungarians protested against the proposed Nagymaros Dam on the Danube in the first open defiance of a communist government in decades. The following year, the project was stopped and people power took root throughout eastern Europe. Protests against destructive dams also started democratic processes in Burma and other countries. The Sardar Sarovar Dam on India’s Narmada river has displaced more than 250,000 mainly indigenous people. The World Bank had to withdraw from the project in 1994 after an independent review found systematic violations of its social and environmental policies. After this humiliating experience, the bank stayed out of mega-dams for more than a decade. China’s Three Gorges Dam is the world’s largest hydropower project and was completed in 2008. It generates as much power as eight large nuclear power plants, displaced more than 1.2 million people, and ravaged the ecosystem of the Yangtze River. The Chinese government has acknowledged the problems of the project, but continues to export its technology overseas. In 2003, the Chinese government decided to fund the Merowe Dam in Sudan as its first big overseas hydropower project. The dam displaced more than 50,000 people and caused serious human rights violations. Chinese banks and companies are by now involved in some 330 dams in 74 countries, leading an unprecedented global dam building boom. 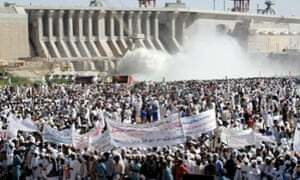 Hundreds of Sudanese people hold banners supporting President Omar Al-Bashir during the inauguration of the massive hydro-electric dam in Merowe, north of Khartoum, on 3 March 2009. Photograph: Philip Dhill/EPAInga 3: Africa’s next white elephant? With the Inga 3 Project on the Congo river, the World Bank returned to building mega-dams in 2014. Even though the bank has failed to complete much smaller projects on the Congo, Inga 3 is only the first phase of the world’s biggest hydropower scheme. The project will have limited local impacts, will bypass poor consumers and benefit mining companies instead. Dams have serious environmental impacts, and their benefits dwindle as they age. Since the 1930s, the United States has removed more than 1,150 dams to restore river ecosystems and particularly fish habitats. 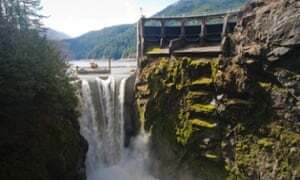 In 2014, the 64 meters high Glines Canyon Dam on the Elwha River in the Pacific northwest was breached in the world’s biggest dam removal so far. In recent years, solar and wind energy have seen their commercial breakthrough. These renewable energy sources are cleaner than coal or hydropower and can be built were people need electricity, even far away from the electric grid. In 2014, Chile cancelled five dams in the Patagonia region under strong public pressure and approved 700 megawatts of new solar and wind farms. Renewable energy rather than mega dams and fossil fuels is the right choice for the 21st century. Even so, numerous destructive dams continue to be proposed and built on the Mekong, in the Amazon, throughout Africa, in China, theHimalayas and other parts of the world. Find out what you can do to stop destructive dams and protect the arteries of our planet! A view from the conference which was held in Sulaimany, Iraqi Kurdistan. The 7th conference of the Ekopotamya Network was held in Sulaimany, Iraqi Kurdistan on 25th March, 2015, by participating people from Turkey, Iran, and Iraq. All presentations will be available on the website of Ekopotamya Network. The construction side of hydro-electric plant on the Zilan River was attacted and fired by an armed group of people. Despite the objections of local people, the construction of hydro-energy plant on the Zilan River is sustained. Last night, an armed group of people who are claimed to be the militants of HPG-PKK attacted on the construction side, and burned some containers and equipments. Recently, in the same place, some workers of the construction were retentioned by HPG. By the exertion of DBP and some NGOs, these people were released. Hasankeyf, which is threatened by the Ilısu Dam project, is becoming a prohibited zone. Despite a judgment of the Council of State suspending work on the project due to the absence of an Environmental Impact Report, barriers have been put up around the bridge in the 12,000 year-old town to prevent visitors gaining access. The ban on visitors going to the caves in the town introduced after a rock fall is also still in place. Although efforts are continuing for Hasankeyf to be included on the UNESCO World Heritage list tourists wishing to see the town are encountering new obstacles. The police have put up a road block preventing access. And finally, security guards from the company in charge of the project are stopping tourists who want to take photos of the old bridge, after barriers were placed around it to protect it from the water that will rise once the dam is built. The hydro-energy policy of the Turkish government in the Kurdish territory is leading reaction and protests of Kurdish people. As it is known, the Ilisu Dam which is constructed on the Tigris River is a big problem and people from Kurdish territory in Turkey and Iraq, and also the marshland Arabs in Iraq are suffering because of this dam. Local people always show their reactions against to Iilisu Dam, and trying to stop the construction. However, these reactions does not change the hydro-energy policy of Turkish government because beside the clamining the necessity of energy, there are also some political reasons to build dams on the Tigris. Many people think that the dam policy of the Turkish government is arises from its desire to put control on the Kurdish territory in Iraq. Recently, Turkish government has planned to build new three dams on the Tigris River. One of these dam will be very close to the city center of Diyarbekir, and the other two ones will be close to the Dicle (Pîran) district of Diyarbekir. Yesterday, on 18th November, against to these new planned dams spesificly, and the dam policy of the Turkish government in general, a protest was held in Diyarbakir. Hundreds of people met and protested the government. The protesters claimed that construction of dams, and destroction nature in the Kurdish territory is a kind of “cultural genocide” against to Kurdish people, and the goverment has to stop to build new dams on the Tigris and Euphrates Rivers. The new planned three dams was also critisized at the conference of the Ekopotamya Network in Diyarbakir, and the participants of the conference from Turkey, Iran, Iraq, and Syria had declareted their opposition aginst these new three dams, as the previous ones. The Inhabitants of the antique city Hasankeyf have blocked the main road through their city in order to protest the Ilisu Dam Project and especially the resettlement process. The road connects the provincial capital Batman with the cities Midyat, Cizre and the Iraqi border and is intensively used. More than 500 people gathered on the bridge over the Tigris River in the early morning where they persisted and sat untill the afternoon although hundreds of policemen gathered and threatened the people. The same day in Hasankeyf all students boycotted the schools and shop-owners closed their shops. The people demanded the stop of the resettlement process done by the state body State Water Works (DSI). The people criticized the resettlement process which started three years ago. The DSI foresees small amounts for the current buildings and the triple price for the new houses in “New-Hasankeyf” which is in the constructing phase for two years and located 2 km in the North. Furthermore in the new settlement area are almost no opportunities planned for the new inhabitants which means a long-term impoverishment. Thats why they shouted “Our caves are enough, we do not need villas”, “DSI, stop these works”, “Resettlement is deception”, “You have stolen our childhood, hands off from our future”. Also the governor of Hasankeyf Temel Ayca, appointed by the central government and the mayor of Hasankeyf Abdulvahap Kusen could not change the view of the people. In the afternoon the protestors have end the blockade without any arrestation. Considering the comparatively silence of the last two years by the most inhabitants of Hasankeyf this action increases the protest against the destructive Ilisu Project which is under construction for three years. It is planned by the government to complete the construction within two years. See attachment for pictures of the protest!